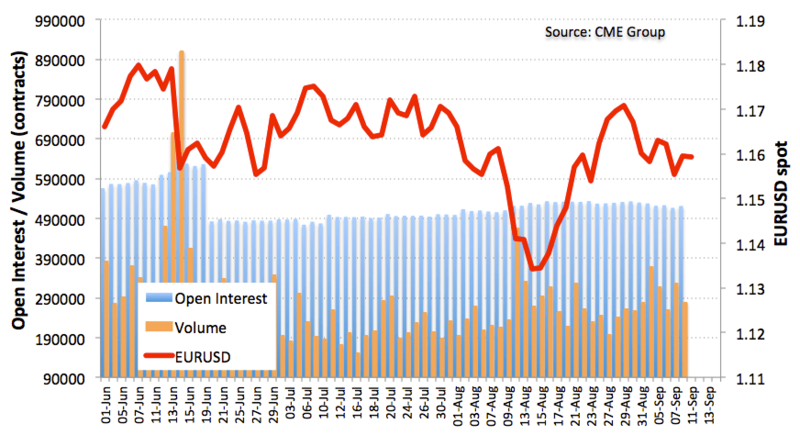 According to advanced figures for EUR futures markets from CME Group, open interest rose by around 4.7K contracts on Monday from Friday’s final 516,520 contracts. Volume, instead, dropped sharply by almost 48K contracts partially offsetting the previous build. Monday’s advance in EUR/USD was in tandem with increasing volume although it did not find any echo in volume, which decreased significantly. That, coupled with the inability to sustain a breakout of 1.1600 the figure, opens the door for a potential test of the critical support at the 1.1500 neighbourhood.